A different kind of a review because I really didn't want to read this one . . .
O.K. I know your already expecting me to admit it. So here goes without further delay. I read it. Yes I did. I was being rebellious because when a friend kept saying over and over and over "You have to read this." I finally had to give in because ﻿. . . I had nothing else to read. I know you've probably all read this amazing book. I know I am probably the only fan of Christian romance to not have read this book. Unless your a "new" fan and if you are well you probably haven't read it but you should. Trust me if you ask your friends they'll tell you the same thing. Here's a couple of quotes from other reviews . . .
"My friends went so far as to be absolutely horrified when I’ve told them I’ve never read this author, before! LOL. Now I can say that I have read a book by her, and it was really, really as good as they said! " And . . . I had to post the following because it was like this reviewer got in my head and put more thoughts into words . . .
. Rivers skilfully weaves Hosea’s and Angel’s stories together, opening up their worlds, their hopes, their dreams and their fears to us. The narrative’s many twists and turns grip me and draw me along every time, but the reason I return to it year after year and recommend it to anyone who’ll listen is the novel’s window into the amazing love God has for his people. It makes me cry and cry and cry every time, being reminded of how fickle and ungrateful we are, and how patient God is, but most of all, how deeply it hurts him when we reject his love and kindness and return instead to the things we know are going to harm and hurt us. O.K. if you haven't read it your wondering what is all the hoop la about? Here's the summary from the author's site . . .
Click here to go to the authors site for links to purchase the book. 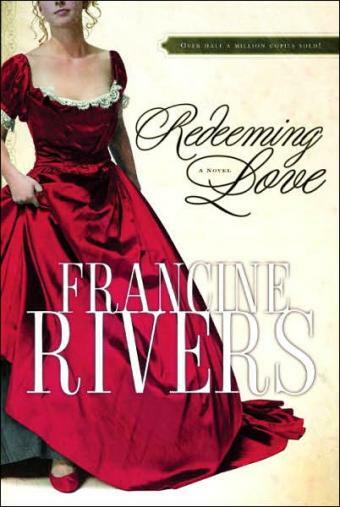 Redeeming Love is an amazing story that reminds the reader of God's amazing love. I was pleasantly surprised. And, I guess your wondering why didn't I want to read the book? I am just not a fame of historical romances. But I have say next time a friend suggests a book I think I'll read it! I have a huge looooooooooooooooong list of things I am thankful for today! Not necessarily in order except this one! #1 . . .I am thankful I am here. Here as in writing this post for Thankful Thursday. It has been so long and I have missed blogging so much. . . .I am thankful that my Cowboy got a promotionn and that he is getting almost 40 hours a week.
. . . I am thankful that even though Cowboy is working full time that we are able to continue ministry and that God provides.
. . . And last but not really last because this should be first I am thankful that God provides and that he answers prayer. God is good. Even when we allow things to blind us. Even when he might seem far away he isn't. Today I am thankful God reminded me that I can trust in Him. And, today I am praying that you remember too! Need a little more reminding go over to Iris's for more thankful posts. Click here. BTW let me know you came by! I am happy your here! Thanks for coming on The Journey . . .
One of my favorite verses. I have been asking myself alot 'why this verse means so much to me.' And I guess the reason is because of 'what' it means to me. I think alot of people take it to mean that if we trust and believe and delight that God will give us what we 'ask' for . . .
And, maybe that is what it means; I actually thought this for a long time. At least until recently when I realized that I desire to be closer to God. To have a closer relationship with Him. As I have made an effort to read and study God's word more. I have begun to pray before I read and ask him to help me to understand. To help me get what he wants me to get out of the scriptures that I read. And, as I strive to have a closer relationship I have realized that many times I run around during the day doing 'things'. Most well intentioned but most days I am doing what 'I' think needs to be done. Good well intentioned 'thing's but not necessarily the things that God wants me to do. As I think about these words I reconsider 'my desires' and I realize that I want God to put those desires into my heart. So that the 'things' that I desire are things he wants from me; or of me. Thanks for stopping in today and joining me on my Journey. And, joining me for WFW . . . my first WFW in months! I have missed Wednesday's the most I think. 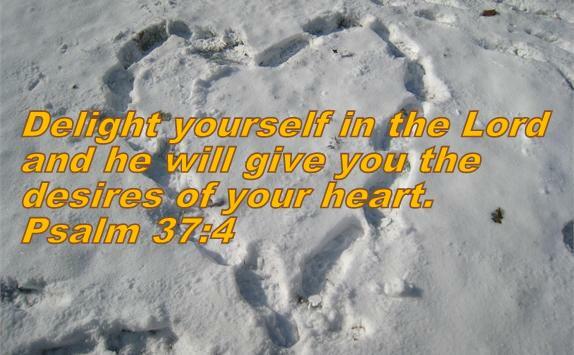 I love adding God's words to my photo's and I love seeing everyone elses work. Please visit Amy for more WFW posts. Click here. So has God given you new desires today?
. . . I think this is just a great photo of the Cowboy. Isn't he handsome? So now you know why I am doing the 40 Day Challenge! I happened to stumble onto this one while I was looking for ministry photo's. This was taken while he was supervising some of our boys at the local food bank. Back to updating the ministry blog! Titues Tuesday sharin' N gettin' real . . . ok. so here's the real truth. I began this 40 day Dare because God spoke to me about this. A couple of years ago when all this started with the Fireproof movie I wasn't in any mood to watch the movie much less do a Love Dare Challenge. You see I was 'mad'. I was angry and annoyed about a lot of things. And I really didn't really want to 'be nice'. And I really didn't want to write about 'being nice'! But over the last few months God has done a work in me. The things I was 'mad' about haven't gone away. Some of the attitudes, actions and annoyances haven't gone away. But God changed my heart. I have been praying that God would use me. And, I have been praying and studying scripture more and making a big effort to get closer to God. And, well I have learned that there are some things, some areas in my life that are keeping me from that closer relationship that I desire. Ladies if your stopping over following the link I urge you to pray. I urge you to pray for your attitude. I urge you to pray for your man. Even if your in a place like I was. Even if you don't feel like it. God will give you the strength and the courage. And he will give you the desire. One of my favorite verses in Psalms talks about God giving you the desires of your heart. My pray is that he does. That 'the desires' I have are the ones that puts there. That He puts there. And so, 2 years later it is my desire to do the Love Dare. For more Titus Tuesday posts go over here. Patience is what I am asking God for. Do you ever have those days. Or weeks. Or months when things just don't go like you planned? That seems to be what continues to happen to me. Outside pressures and influences steal my time and frustrates. But, the funny thing is that I know that God is in control. God has plans and somehow he is teaching me something. Could it possibly be Patience. Quite possibly. I mentioned Saturday that I am dedicating the next 40 days (day 3 today) to the Love Date. Day 1 began with Patience. Which is what I needed this morning. Unfortunately I didn't have a lot this morning. Still working on patience. God continues to show me over and over he is in control and that his ways are not my ways. That his timing is not my timing. But His ways, His timing is perfect. I wait Patiently sometimes. 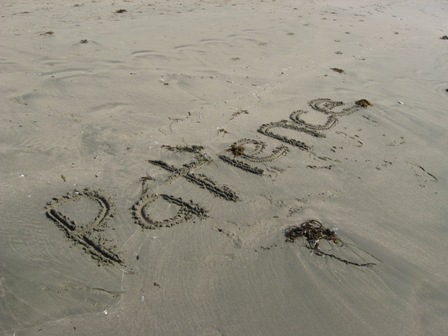 My prayer for you and me today is a day filled with Patience. Welcome to Then Sings My Soul Saturday...I happened to stumble onto this song this morning. I haven't heard it before but I love the lyrics. I love the reminder of . . . being still and freeing your mind and receiving God's peace. Thanks for stopping in. I'll be posting more regularly now so come on back by. I've missed you! Then Sings My Soul Saturday is hosted by Amy. Click here for more music! . . .one of my favorite authors has a new fan and a new book. You see . . . this fan is very, very, very discriminating. I should know it is my very own Cowboy. But he read this one . . . 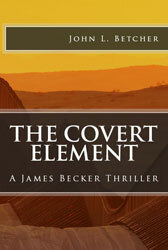 The Covert Element by John L. Betcher is the third in the series. My Cowboy is asking to read the first two. And, I would suspect your husband would like it too! The Covert Element will have you on the edge of your seat from the beginning. Betcher does a great job of weaving an intriguing and thrilling story about current events or issues and making the story seem believable without being 'Hollywood'. The Covert Element is about Mexican drug cartels setting up drug operations in small town America. and here ... to check out what a few other readers think. And, you can go to the authors site to read the first chapter. Click here. Would I recommend this book? Absolutely. I would recommend it actually for any age group. With parental guidance I think even a young adult would enjoy any of Betcher's work. One more thing I have been doin . . . So if you dropped in earlier you know what I have been up to but one important thing I have been doing a lot of is scripture memorizing and actually reading my Bible more. Here's the verse I have been working on . . .
And a photo that illustrates it . . .
Just a little reminder to myself to trust in God and not be anxious . . . So I guess you've been wondering . . .
. . . Where I've been and what I've been doing! I have only been able to get online for a couple of hours a couple of days a week. But I have been really, really busy with . . .
My drama team. I love my boys. This shot (sorry I can't show their faces) is part of a drama/dance for this amazing song. . . My Here Walks On Water by B-shoc. I am so proud of them and they just make my day . . . I am also teaching again. Only this time I get paid! WhooHoo! This is a photo from last spring. I haven't taken the time to photo my new class. I am teaching a group of ladies from a church every Sunday! I am hoping and praying God will build this business! And lastly the happiest part is I/we are packing to move. We aren't sure exactly where and hopefully by 3:00 today we will know. This move will mean some great things for us. Mainly I'll be back in town again and I'll be able to get on the inter-net and the most important is see our daughter! I'll keep you posted. Praying all my bloggy friends have a Blessed Weekend.